Why did the friendship between these two literary giants fall apart? Henry Adams once wrote, "One friend in a lifetime is much; two are many; three are hardly possible. Friendship needs a certain parallelism of life, a community of thought, a rivalry of aim." F. Scott Fitzgerald and Ernest Hemingway are two of the greatest writers of the 20th century. They will be remembered for their very different contributions to literature. But they will also be remembered for their friendship. In "Hemingway vs. Fitzgerald," Scott Donaldson draws from a career in the study of Hemingway and Fitzgerald to create a complete story of the friendship between the two men. 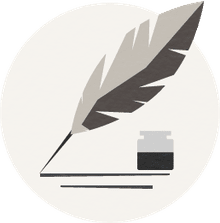 He writes about the triumphs they shared, along with all of the obstacles that intervened through the years to drive the men apart: alcohol, money, jealousy, and all. This book is an exploration—carried off with style and intelligence—steeped in hard facts and amazing detail. The friendship was off to a rocky start when Hemingway and Fitzgerald first met in the bar Dingo. In their first meeting, Hemingway was put off "by Fitzgerald's excessive flattery and invasive interrogation." Asking, for instance, whether Hemingway had slept with his wife before they were married did not seem appropriate conversation, particularly from a total stranger. But the meeting proved to be fortuitous. Fitzgerald was already much more well-known at the time, with his "The Great Gatsby" just published, along with several volumes of stories. Although Hemingway had been a feature writer until 1924, he had not yet published anything of note: "only a handful of stories and poems." "From the start," Donaldson writes, "Hemingway had a knack of ingratiating himself with famous authors and making them his advocates." Indeed, Hemingway would later become part of the so-called Lost Generation group that included Gertrude Stein, John dos Passos, Dorothy Parker, and other writers. And even though Hemingway was not very well-known at the time they met, Fitzgerald had already heard about him, telling his editor Maxwell Perkins that Hemingway was "the real thing." After that initial meeting, Fitzgerald began his work on Hemingway's behalf, trying to help jump-start his writing career. Fitzgerald's influence and literary advice went a long way toward pointing Hemingway in the right direction. His edits to Hemingway's work during the late 1920's (from around 1926 to 1929) were a great contribution. And then there was the end. 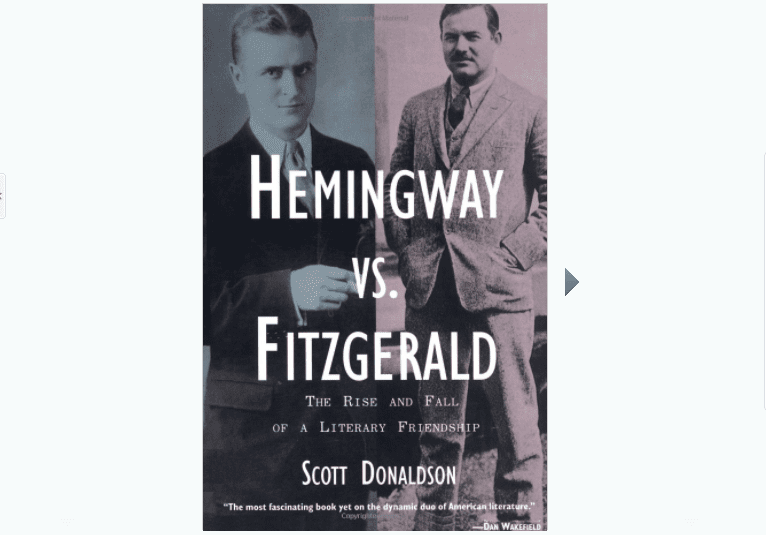 Donaldson writes, "The last time Hemingway and Fitzgerald saw each other was a showing in 1937 while Fitzgerald worked in Hollywood." F. Scott Fitzgerald died of a heart attack on December 21, 1940. However, many events intervened in the years since Hemingway and Fitzgerald first met to create a rift that caused them to be less friendly for some years before death finally separated them. Donaldson reminds us of what Richard Lingeman wrote about literary friendships: "Literary friends walk on eggshells" with "the demons of jealousy, envy, competitiveness" lurking. To help explain the complicated relationship, he breaks the friendship up several stages: from 1925 to 1926, when Hemingway and Fitzgerald were close companions; and from 1927 to 1936, when the relationship cooled as "Hemingway's star ascended and Fitzgerald's began to decline." Fitzgerald once wrote to Zelda, "[My] God I am a forgotten man." The question of fame was certainly one thing that intervened to create a strained relationship.